Searching for an app that will make learning both engaging and educational? 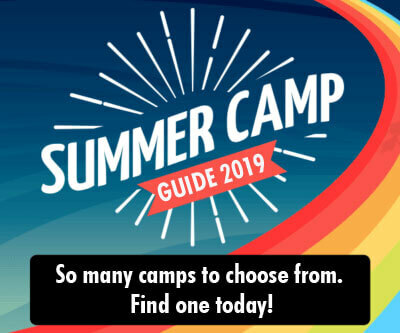 PlayAblo may be just what you’re looking for. 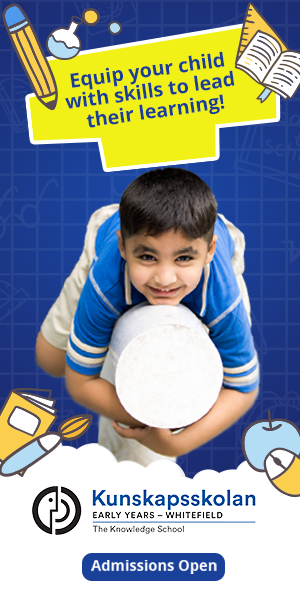 Learning needs to be fun, interactive and intuitive for it to have any major impact on the attention span of a child. That is precisely what the founders of PlayAblo had in mind when designing this app for kids. The makers of PlayAblo have a simple tagline on their site that says ‘Reinventing learning through gamification’. It’s a testament to their effort that the fun is visible from the word ‘Go’! Two key markers that set this app apart from other games in the market are their gender inclusivity and the way they keep in touch with current models of learning. 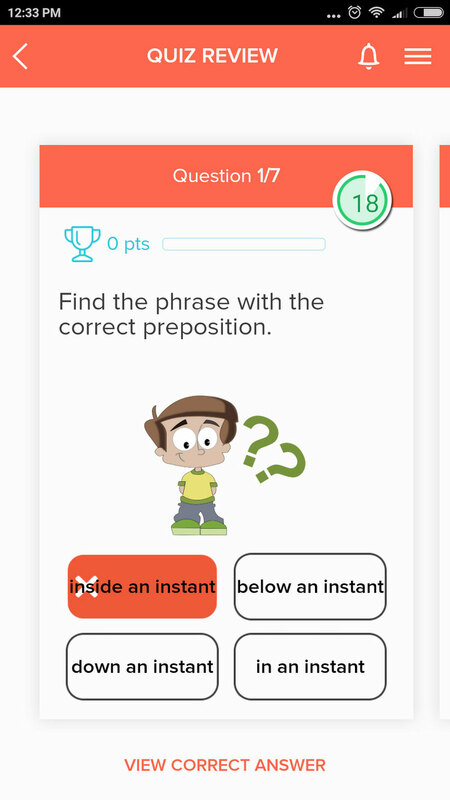 The designers behind the app know that learning is an evolutionary experience and they’ve made sincere attempts to incorporate up-to-date and relevant information right from details like type of currency used in Math problems to references to Ganges and the pyramids in English questions. It is an engaging and visually interactive app that will help children master complex concepts in Math and English while having video-game like fun in the process. I’d downloaded the app for my 10-year-old daughter and without any instruction whatsoever, handed it over to her to explore. I wanted the experience to be completely fresh and from her perspective alone. In the next 30 minutes, I watched as she consistently worked on Maths and English problems, solved them with skill and kept incorporating strategies that would help her improve her score. Everything is accessible after the first parent login on the trial version. The main menu on the Home screen displays ‘Challenge Mode’ and clicking through takes you to the Maths and English quizzes. The really creative graphic of a mountain makes the quizzes seem fun rather than insurmountable. I almost felt like playing them myself! Kids who are digitally savvy (by now, that probably means every kid) will have little or no difficulty in swiping left/right to track their score, work on new quizzes and check their stats globally. The colours used on the app are pleasant and pastel-shaded and they make the experience truly delightful. This was probably the biggest highlight for me! My daughter was thrilled to get the ‘1000 points’, ‘5000 points’, ‘Comeback kid’ and ‘Hat Trick’ badges within 30 minutes of playing the various quizzes. Badges are a big boost to encourage self-improvement and this proved that completely true. The various stages (as indicated by the climb up the mountain) are also indicators of increasing complexity and the child will notice that the questions get tougher with each progressive level. A daily login alone gives you 100 points extra! So you can imagine the motivation that this gives kids to ensure that they play the games every single day. As long as it’s educational, I’m all for it. Who doesn’t love badges? Don’t these look cool! Pleasant game sounds, login sounds and notifications that buzz when you earn a badge are reason enough to keep kids coming back for more. As long as you can handle the incessant ‘pinging’, then you’re safe. I’ve always enjoyed quizzes because of the way they help us think under pressure. Adding a countdown timer to each question is a touch of brilliance here and it was interesting to see how my daughter attempted each progressive quiz, determined to beat the timer and watch her score climb. Watch the timer tick down in the top right corner! Just 7 Questions per game! Every quiz has just 7 questions. Somehow the ease of doing 7 questions seems to interest kids a great deal. 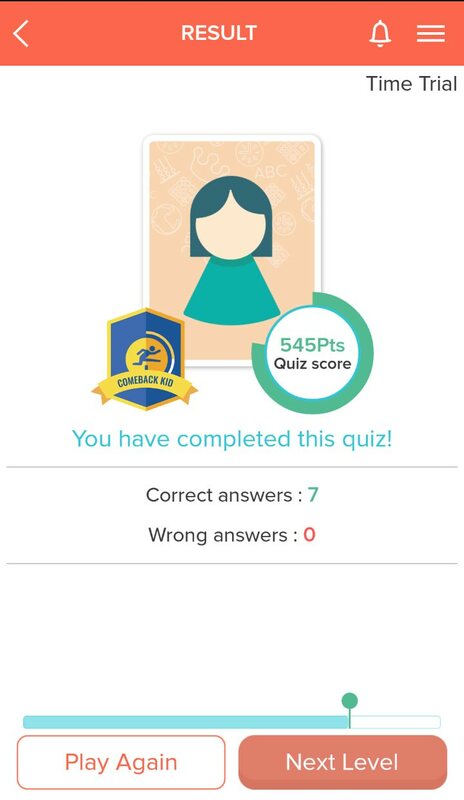 I’d be interested to know the exact reason they picked 7 questions for each quiz rather than the standard 5 or 10, but it actually works as a way to help kids stay the entire length of the quiz. From a screen-time perspective too, this works great since the kids aren’t glued to the device for too long at one stretch. The global leaderboard which indicated that she stood 7th out of 137 kids was a big hit with my daughter. Any kind of healthy competition is crucial to help us push ourselves and PlayAblo’s Leaderboard does just that. In addition to the above PlayAblo also has a very comprehensive Parent mode accessible by a special passcode. 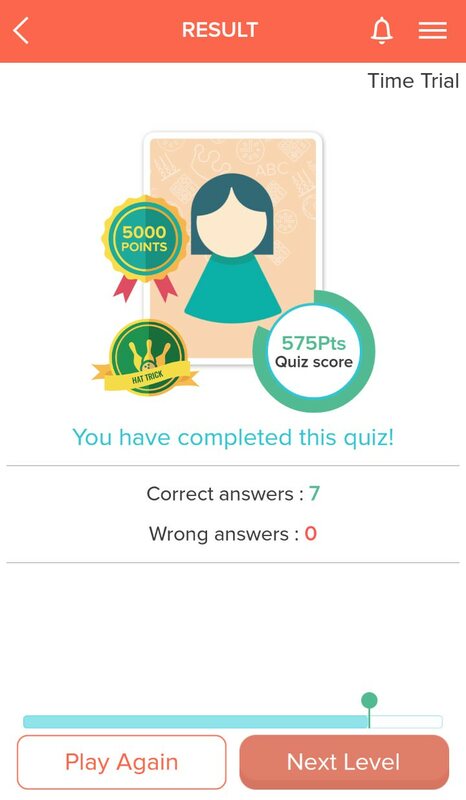 Parents can use this mode to track their child’s progress and performance..
Each quiz that the child attempts can be reviewed by the parent right down to specific details such as which question was answered incorrectly well as the right answer for it. This feature clearly tells the parent not just what the child found difficult but also how long she took to answer the question. The comment feature is an especially nice touch since the parent/guardian can leave a comment acknowledging the child’s effort in each quiz. Comments shared on the Parent mode will also pop up on the child’s device via notifications. We all know kids love positive affirmation and who better than parents to add to their morale? Instant review and feedback are big plus points! 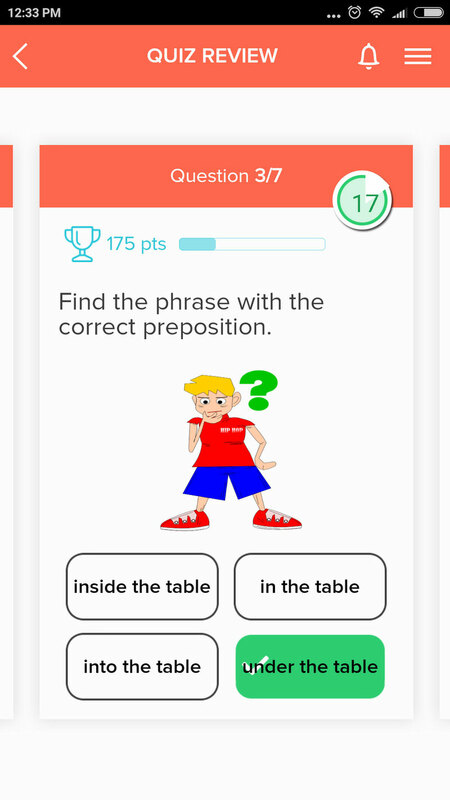 If you have a kid who is studying under the CBSE curriculum, this is a lovely app to help them come to terms with some of the challenging concepts in Math such as fractions and decimals or the nuances of basic English Grammar such as prepositions and even sentence construction. An erstwhile teacher, trained singer, wannabe writer and grammar geek, she enjoys her daily tea as much as the evening sunset. She owes her inspiration to her daughter who is a constant source of love, learning and introspection. Parenting, reading, writing, swimming and social networking are her top passions.